Federal-Mogul Holdings Corp. today opened a new piston ring manufacturing plant in Puebla, Mexico. The plant will make steel and cast iron piston rings for customers in North and South America. Federal-Mogul declined to reveal the square footage of the plant. The supplier spent $15 million to open the plant, which will initially employ 120 people. It expects to add more jobs as it grows in the region. The Puebla plant brings the total number of plants for Federal-Mogul’s powertrain division to seven. The company, which began moving to a new suburban Detroit headquarters this month, is restructuring. On Sept. 3, the supplier announced it would split its two divisions, aftermarket and powertrain, into two separate public companies. The spin-off of the aftermarket division, Federal-Mogul Motorparts, into a new public company is expected to be complete in the first half of 2015, pending U.S. regulatory approval. The company historically underperformed in the aftermarket space, which led to red ink, including a $117 million loss in 2012 and a $90 million loss in 2011. Aftermarket revenue increased just 0.8 percent while its original equipment sales rose 11 percent in the first quarter of 2014. Its aftermarket revenue made up 43 percent of its business in 2013, compared with 48 percent in 2002, which may be a problem given the strength of the U.S. spare parts industry. Billionaire Carl Icahn, who controls Federal-Mogul, took action in February by naming Daniel Ninivaggi, the president and CEO of his investment firm, Icahn Enterprises, to be CEO of Federal-Mogul’s aftermarket and co-CEO of the holding company. 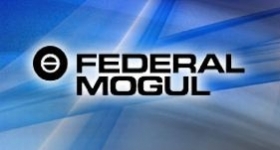 Federal-Mogul ranks No. 50 on the Automotive News list of top suppliers, with an estimated $4.2 billion in sales to automakers in 2013.